Online Wine product website with our product catalogue system and tailor-make design. a one stop solution provider offering a wide gamut of design and construction service ranging from designing and supplying security system to fitting home and office furniture. Bafu is specialized in provideing premium quality and functional dsign to both office and retail customers. originally established in Hong Kong, Kwong Kee (KK) is a leading manufacturer of automobile muffler. 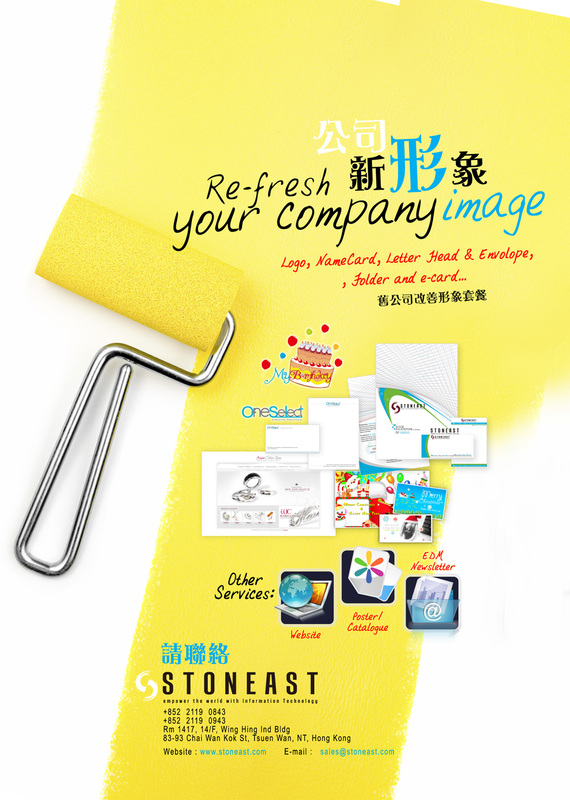 Stoneast offer new design services and package to SME companies. e.g. Logo / Namecard / envolope / letterhead / catalogue / leaflet design services. Please contact our sales representative at 21190843 for more detail 四通資訊有限公司推出 公司新形象設計服務 包括 商標 / 名片/ 信封/信紙/目錄/傳單 . 請聯絡我們銷售代表電話:21190843. Drillcut Ltd was established since 1981, we specialize in Concrete Coring, Wall Sawing & Diamond Wire Cutting, Bridge & Road Saw Cutting, Environmental-Friendly Demolish method by Hydraulic Crusher & Burster, Grouting & Bar Fixing and different kind of demolition works. Stoneast Mailguard service is a Virus and Spam management solutions for email. Gurantee to reduce more than 90% spams within 3 months. Copyright © 2000-2011 Stoneast Limited.